Fashion portfolio is like resume. It demonstrates your skills, experience and talent in a visual way. If you are an established professional your work says it all for you, but for a novice in fashion industry creating a great fashion portfolio is crucial for gaining a prominent spot. I have picked the best 3 books that will inspire and guide you through process of creating excellent fashion portfolio. I must say that each of these books will give you fundamental information on all aspects of creating successful fashion portfolio from getting an inspiration to choosing a layout and cover for your fashion portfolio. They are the best in the industry. Introduction into industry, fashion markets and fashion cycles. Fashion over time: fashion history and trends. Creative research: from finding an inspiration to ways to organise different sources of creative materials and work out the main idea of a collection. Development and sampling. Methods to work with colour, shape and texture in order to articulate main concept of a collection. 3D, 2D sampling to define the main idea. Garment design and range planning. Refining silhouette, proportions, colour and texture of garments to crystallize the idea behind a collection. There are important differences in the details and I am going to highlight them in this post. As it comes from the title, the book focuses on creation and presentation of end-of-year collection. Hence its style is methodical and very clear. It is well balanced with lots of examples and visual material for more exhaustive topic coverage. The way information structured in the book is much like creative process itself: from broad themes through refining and selection to a final point. Much the same Mark Atkinson does in his book – from wide and general topics of fashion markets and cycles, trends and fashion periods through the study of creativity he guides the reader to define project steps. What makes How to Create Your Final Collection by Mark Atkinson different? •	The chapter ‘Styling and presentation’ where author discusses catwalk styling, editorial styling, lookbook presentation. •	Very useful practical advices on how to make most out of your collection and leverage it, Chapter 7 ‘Diffusing your final collection’. •	Practical tips and description of approaches on range planning. •	CD with even more case studies. This is a wonderful book and I did a separate in-depth review of it earlier so I’ll keep it short here. Fashion Portfolio is undoubtedly one of the best books on the topic. It covers all basic subjects one will need to create a collection. It is very visually centred which is great if you are a visual person. However, it doesn’t mean that it lacks textual information! Blocks of text are highly informative and precise. There are no unnecessary words, all is sharp and clear. Needless to mention beautiful illustrations that adorns almost every page. 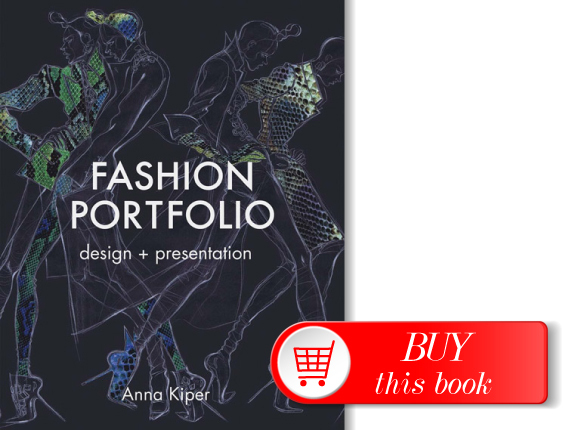 What makes Fashion Portfolio by Anna Kiper different? •	The section ‘Storytelling in design’. Concept of a design as a narrative is a quite new approach. Using a case study Anna Kiper explores the topic showing interesting possibilities of storytelling in design. •	The section ‘Design approaches’ displays interesting classification of designers by their signature style like The sculptures, The Sensualists and so on. •	Styling and presentation of fashion portfolio. The chapter outlines different methods and approaches of design presentation: from choosing the right media to page composition and stylisations. Special pages are devoted to photomontage and digital manipulations as well as traditional media. •	The chapter ‘Specialisations’ provides reader with heaps of useful information. It explores particular fashion niches such as Knitwear, Activewear, Lingerie, Evening Wear, Menswear, Children’s wear and Accessories. This book is an exemplary example of how to squeeze tremendous amount of information into less than 200 pages without compromising on quality. This becomes possible partly due to an elaborate page layout that helps to comprehend great amount of information Steven Faerm puts on each paragraph. On other hand, thoroughly selected illustrations intensify the text and help to make the most out of every single page. Fashion Design Course is straight to the point and concise, but what makes it unique is its practical approach. 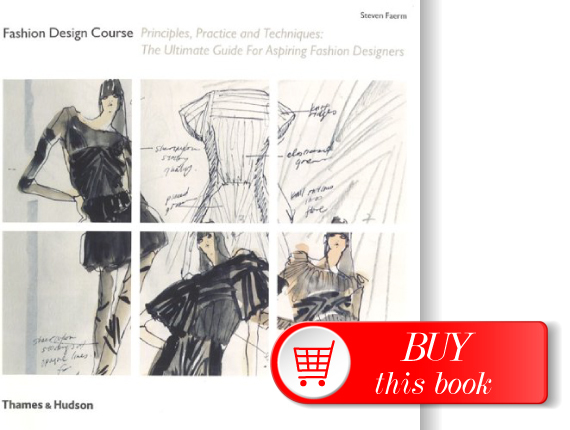 Steven Faerm fills the books with assignments, exercises, questions and practical considerations that aim to enhance creativity and aid the development of fashion collection. What makes Fashion Design Course by Steven Faerm different? •	Assignments. Among exercises and assignments, one may expect to get while studying in college, this chapter provides practical tools for independent research and shows ways for gathering fashion information. •	Chapter ‘The professional world’ which focuses on getting a job within industry. It offers useful tips on resume writing and fashion portfolio presentation along with actual portfolio examples. •	Quite comprehensive glossary on wide range of fabrics, fibres and common fabric-related terms. •	Interview transcripts of industry professionals which give the first-hand information on fashion industry world. 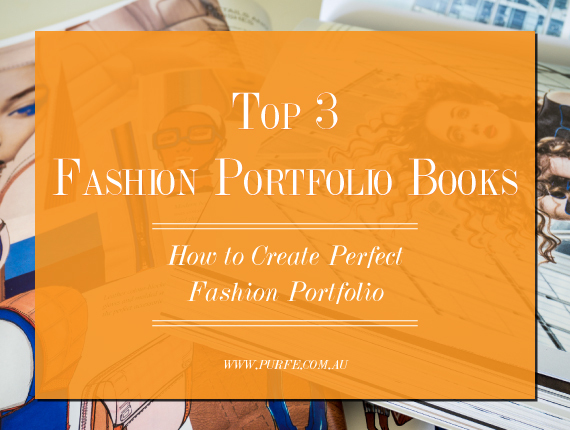 As I have mentioned in the beginning of this post all of three books are great and they will gently guide you through creative process without preaching or directing, they will give all the necessary information you may need to create a great fashion portfolio. These are the best books. But remember they are general guidance only! Every country and every fashion institution has its own standards. Therefore, before starting the work on your collection don’t forget to make yourself familiar with those. Good luck on your fashion adventure!